We’ve been supplying muticoloured Indian marquees to all aspects of the event industry since 1995. We believe we were the first company in the UK to supply Indian wedding marquees. 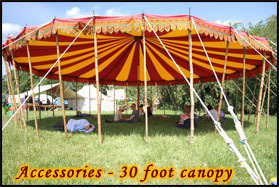 Our marquees are individually designed and hand crafted. 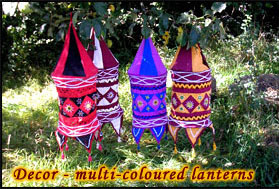 These beautiful authentic designs create a special and unique atmosphere at any event. We use natural canvas and cotton which help our marquees to remain refreshingly cool on those hot Indian summer days and cosy and warm during the cool English evenings. The decorative side walling can be easily opened or closed to deal with changing weather. We use canvas that is water, rot and flame proofed to British safety standards. So they are not only able to withstand the British weather, but conform to health and safety requirements for public events.